We have recently been learning about teeth. 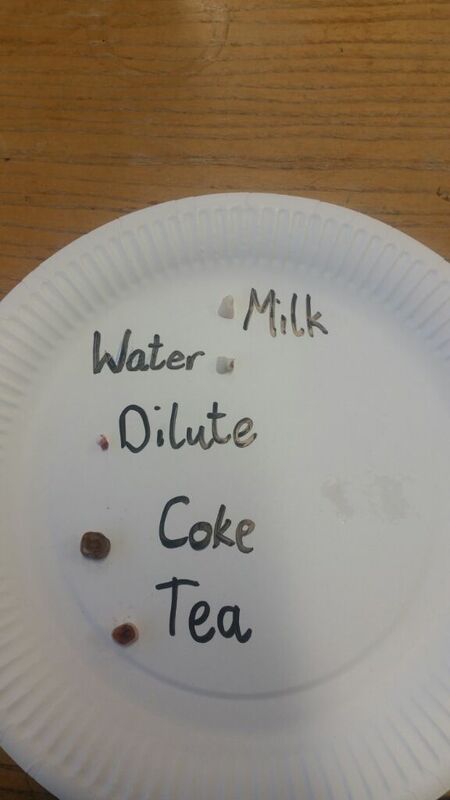 We decided to carry out an experiment to see the effects different drinks can have on teeth. We collected some milk teeth and then placed them into different drinks. We made some predictions and waited to see the results. The tooth in milk appeared whiter then when we first put it in. The tooth in water stayed the same. The tooth in dilute changed colour and went black on the inside where the nerve is. The teeth in tea and coke, as you can see, were very discoloured. 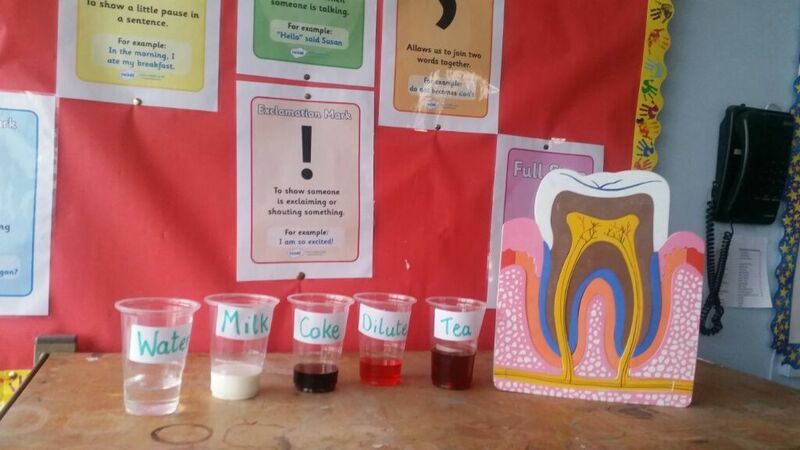 After our experiment we were able to see the importance of not only drinking the right drinks but how important it is to clean your teeth also.